As you may have heard, this Saturday (4/20) is Record Store Day. Head to BrooklynVegan to see a list of some of our picks from the myriad #RSD13 exclusives, and head to a record store on Saturday to pick some up. Yes, Records Store Day is right around the corner and we want everyone to be as prepared as possible in order to get the exclusive releases that they are excited about. 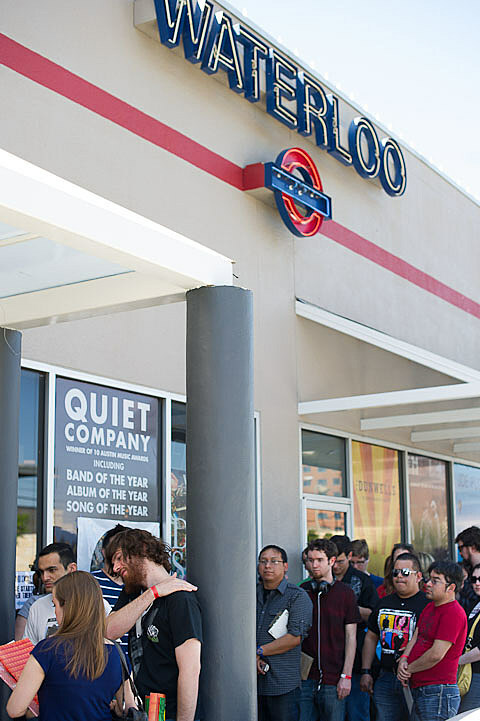 We [Waterloo Records] have ordered up on all the releases on “THE LIST”. These are all made in limited quantities and what we receive will be all we get in most cases. Remember these titles are being distributed between independent record stores all over the country, so some quanities may be extremely limited. We will open at 10am on Record Store Day (4/20). In years past people have begun lining up as early as 6am! Like in the past, the line will begin at our south entrance and wrap around the south side of the building along 6th street (towards Amy’s Ice Cream), then down Baylor Ave. We will hold the line of people from entering the store once we reach our store capacity then continue to let people in as others leave. This is for your safety and for a better shopping experience.